Transport bosses have raised the potential for the successful guided busway to extend further across the borough, possibly to Wigan. 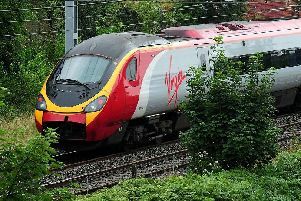 Transport for Greater Manchester’s draft delivery plan for 2020-25 considers the possibility of extending the service between Leigh and Manchester. The document, part of TfGM’s 2040 strategy, says a Bus Rapid Transit extension to Wigan from the guided busway, which uses a mixture of special concrete tracks and priority bus lanes to speed up journeys between the borough and the city centre, is something it will aim to complete a business case for within the next five years. That could potentially enable early delivery of the busway extension. However, more detailed passages of the document perhaps suggest the idea is still in its early stages and a lot more discussions will have to take place before the transport scheme becomes a reality. In particular pretty much all of the major details about the route and which communities would be served, the cost and whether the idea is even suitable to get out of the starting blocks are yet to be fully determined. The document says: “We are exploring options for new bus rapid transit links for longer distance journeys, following the success of the Leigh-Salford-Manchester guided busway. “There could be potential to extend the Leigh-Salford-Manchester guided busway further west, for example towards Wigan, particularly if Wigan and Bolton Councils are successful in securing funding for new road infrastructure from the Government’s Housing Infrastructure Fund. TfGM has also committed in its delivery plan to putting more buses on the route within the next five years as demand is growing for frequent services into Manchester city centre. The transport strategy also contains a number of Wigan schemes which TfGM has committed to delivering in the next five years if the business cases are approved. These include major alterations to the road network including the M58 link road, the A49 link road, an upgrade of the M58 and M6 interchange at Orrell and the building of smart motorway on the M6 between junction 26 and junction 21A where it meets the M62. There are also plans for enhancement of the Standish Mineral Line and improvements across the rail network. Other long-term ambitions for the borough include a quality bus transit corridor between Wigan and Bolton which would then run on to Bury and Rochdale, new east-west road infrastructure between Wigan and Bolton and improvements to the M6 junction 23 at Haydock.